Dons Directors – any true fans? Thread: Dons Directors – any true fans? 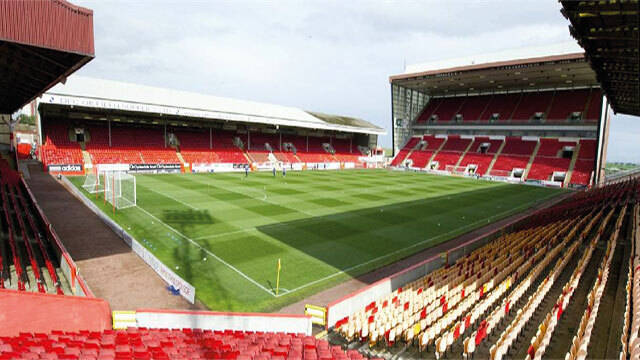 Over the past few years Aberdeen fans have been split in the new stadium debate, but I’d say the majority are now keen on the new ground – with a big caveat. The proposed stadium design doesn’t have steep enough stands. As the club’s home for the next century, we need a ground that’s not just functional but something to be proud of. Its not enough to keep us sheltered from the elements, it needs to foster an atmosphere… help intimidate opposition, give us a home advantage. Groupama Budapest , Slavia Prague, Malmo, Groningen, Ghent – even Tynecastle is an improvement on the current plans. Is there no one on the club board who can relate to and engage with the fans and help us to move forward with a design that we can be proud of? I remember Chris Gavin made the move from the terraces and The Red Final to the board a few years back… has the board ever replaced him with a true fan? Too many Stewart Milne yes men onboard… I think the Directors forget that it’s the fans who’ll be paying for the stadium for generations to come. We deserve a voice now! Steep stands certainly, but at Pittodrie, not Westhill. Steep stands just isn’t happening. And nor will there be an iota of consultation. I was there and thought it was terrible! A real characterless bowl. Really steep near the top, but ****e.
We will have no voice as long as Milne and his cronies run the club into the ground, that much is obvious. Milne OUT! Now, now - that’s not the case at all. Pay yer £18 a month DNA pish and you get to fill in a survey now and then. What more could you possibly want? I doubt it would have been that steep but part of the planning permission meant they had to drop the height...I believe. The only things that will be steep about the new stadium is ticket prices and buying into the loyalty points con scheme. I'm not sure it is planning permission related. It was more like Milnes attempt at appeasing the neighborhood, as well as cutting costs on the ground, by shaving off a good few rows from the original design. Spot on. If it was the steepest possible I think it would be around 5 metres, or 25%, taller. Needless to say the effect on the cost. Actually, don't bother, just stay at Pittodrie. There is nothing to stay in Aberdeen for if Aitkens close down and the Dons don't play football at Pittodrie.